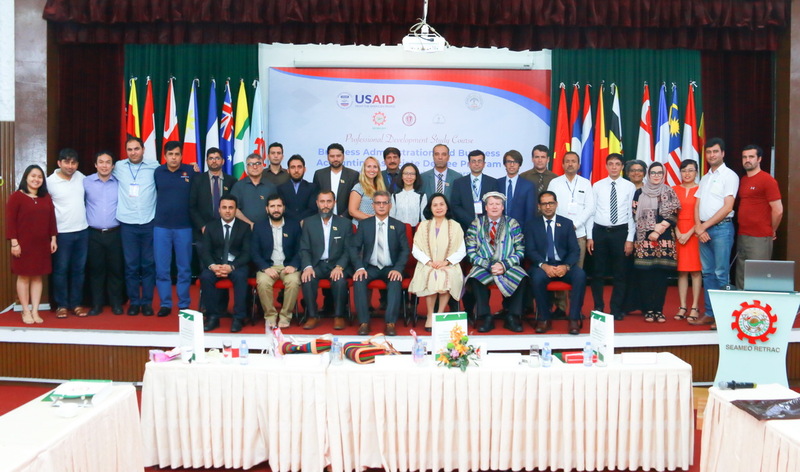 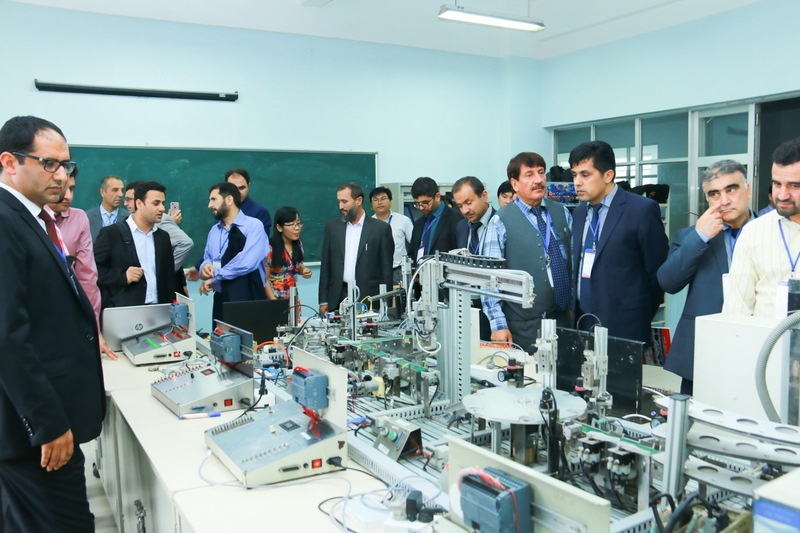 In collaboration with the University of Massachusetts in the US (the Afghanistan University Support and Workforce Development Program – USWDP) and under the support of a five-year USAID-funded project (2014-2018) which is implemented by FHI 360, SEAMEO RETRAC hosted an international professional exchange program featured in “University Support and Workforce Development Program (USWDP) Sponsored Professional Exchange from Afghanistan” for 23 leaders and administrators from three different higher education institutions in Afghanistan (Herat University, Nangarhar University and Balkh University) from June 23rdto July 6th, 2018 in Vietnam. 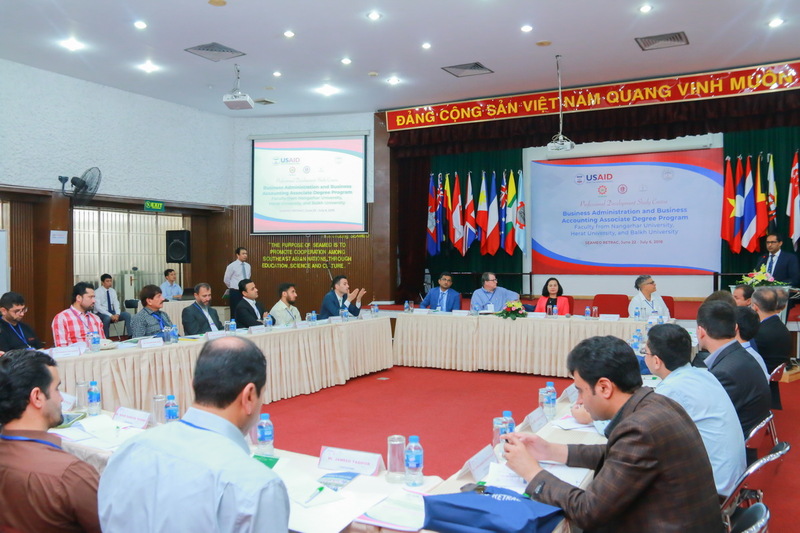 The overall objectives of the program were to help participants enhance their competence in higher educational leadership and management, focusing on the operation and management of the business administration associate degree awarding programs. 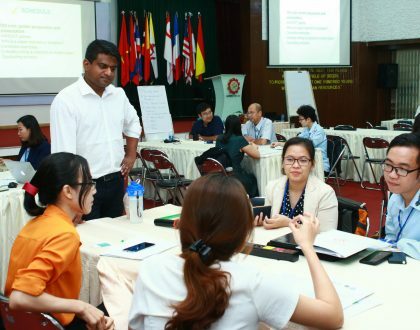 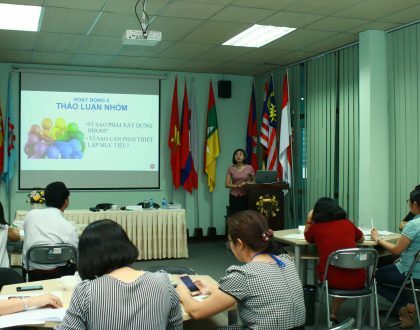 In addition to on-site training workshops, the participants were provided with opportunities to visit higher education institutions in Vietnam, including RMIT Vietnam and Cao Thang Technical College, to obtain hands-on experiences on the operation and management of the teaching and learning activities. 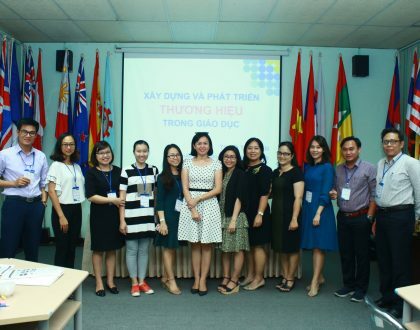 They also joined in cultural visits in South of Vietnam, organized by SEAMEO RETRAC, and attended the annual conference on “Leadership and Management in Higher Education in a Globalized World: Innovations and Best Practices”, organized by the Center.